Accompany is a Los Altos, California company that has developed an innovative relationship management platform that enables sales agents and professionals across all industries to easily keep up to date on what's happening with the contacts in their CRM or contact list. Accompany was acquired by Cisco in 2018. Accompany is a customer relationship tool designed for sales agents and other customer-facing professionals. The tool takes the contact info in CRMs, phone lists and email platforms and appends it with the latest news, social posts and professional happenings on the people as well as the companies where they work. No need to manually research people or companies before meetings, as Accompany will automatically collect comprehensive information on any company, employees there that you know, key people, company overviews, funding history, stock prices, SEC filings and more—all in one simple, easily accessible place. 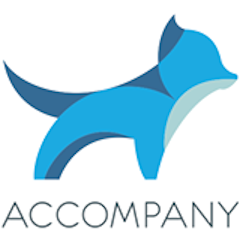 Accompany was acquired by Cisco in 2018.